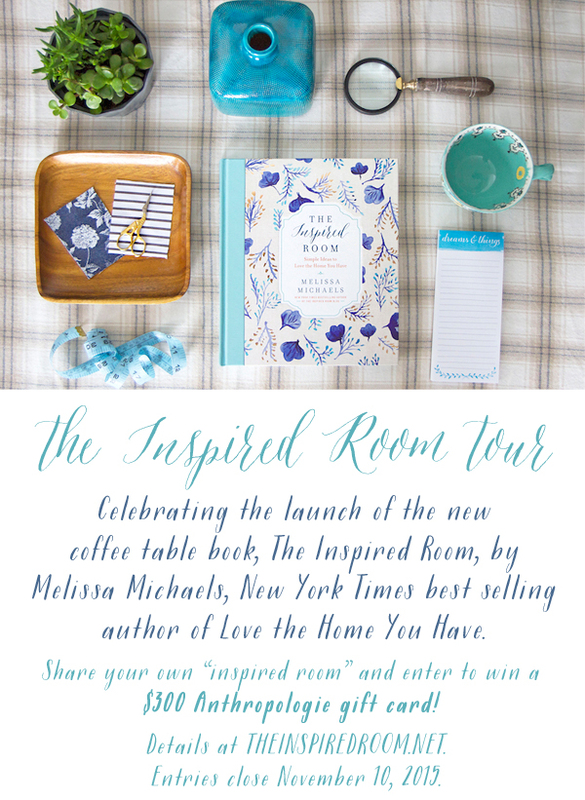 Melissa Michael’s new book The Inspired Room was released this week, (isn’t the cover beautiful?) and to celebrate, she’s inviting her blogger friends to share posts about how we were inspired to decorate a room in our home. The room that popped immediately in my head was my guest room redesign. I recently finished decorating a bedroom in our NH home that I would finally be pleased to have guests stay over. I found a great turquoise color I loved using the BM Color Capture App here. It is an easy tool to use to help you find the perfect paint color. I used many items that were already in the room and ‘borrowed’ the turquoise chair from another room. Love that free shopping! You will love Melissa’s new book! It is filled with beautiful photos just like her first book, Love The Home You Have . I bought my copy this week and am enjoying each page. I love her laid back style of writing and decorating. And the photography is gorgeous! And you can also be part of this Inspired Room Tour by sharing your own inspired room. Go HERE for all of the details. Order your copy of The Inspired Room HERE! Thanks for stopping by!